Join Hupy and Abraham, S.C. at the 2016 Tomahawk Fall Ride! | Hupy and Abraham, S.C.
Join Hupy and Abraham, S.C. at the 2016 Tomahawk Fall Ride! As the leaves start to change and the weather cools, some of the best riding of the year is right around the corner. We all know summer is filled with great motorcycle festivals and rallies, but be sure not to miss the annual Tomahawk ride and fundraiser this year, held in Tomahawk, Wisconsin at the beginning of fall. Founded in 1981, the Tomahawk Fall Ride will be celebrating its 35th anniversary, and will run from September 15-18. Benefiting the Muscular Dystrophy Association, the event draws thousands of riders every year and hosts everything like on-site music, vendors, a parade, and even a (new this year) M.A.S.H. look-alike contest. 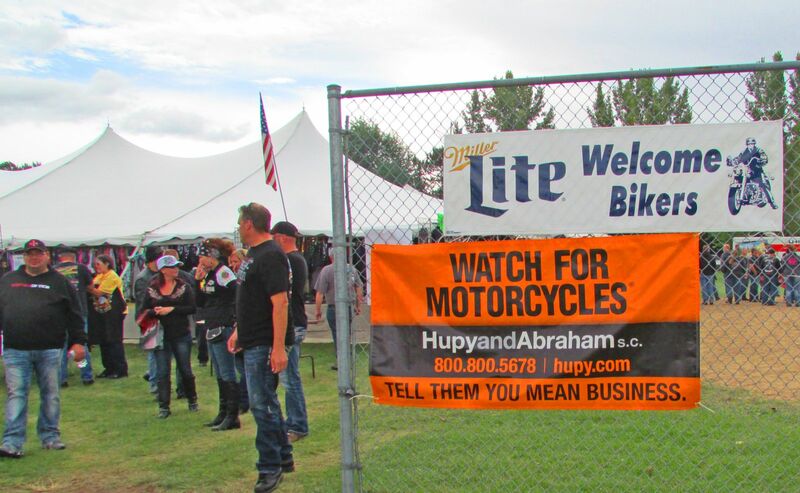 Hupy and Abraham, S.C. is proud to be a sponsor for another year at the Tomahawk Fall Ride. You can find our booths both at Sara Park and downtown, and our staff wandering among the vendor stalls and watching the Thunder Parade. Tune into 92.5 WJJQ on Friday morning to hear Hupy and Abraham, S.C. shareholder Chad Kreblin and motorcycle marketing specialist Melissa Juranitch talk about their love of riding and support for Tomahawk. And if you get the chance, check out the Tomahawk Fall Ride for yourself!